Australia is all about booming realty sector, fast rise of technology based entrepreneurs, and a sterling rebounded stock market. These factors plus many others have fostered the wealth of Australia’s elite. We all wonder how the Aussies are so rich. The answer lies within their houses. According to a Credit Suisse investment bank, their research throws light upon the wealth of Australia’s median wealth. It was found that median wealth per adult in Australia is estimated to be AUD $258000. Let us agree now, home is where the heart and money is. This Australian business tycoon has made a fortune with her mining business and investments. 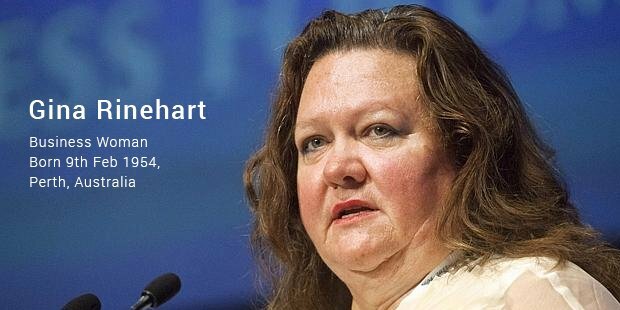 She stands to be the richest Australian in terms of net worth, despite tax proposals laid out by the government on mining industry. Gina’s wealth has grown exponentially since 1992 and till date stands among the wealthiest women of the world. ‘High Rise’ Henry earned a leaping fortune with a single idea that worked magnificently in 50 years of his career life. He built close to 55,000 apartments. Triguboff ventured into a single apartment living idea when people were looking at options for single family homes. The owner of Merition, which is Australia’s biggest apartment builder (in Sydney), is now on a realty-investment riding boom. This Westfield Group honcho known for accumulating wealth through his shopping malls, owns close to 100 malls that generate a whopping revenue of $40 billion. The malls comprise of more than 20,000 shops and outlets. 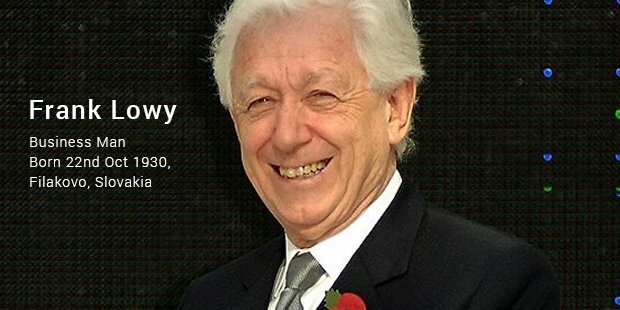 Also an ardent soccer fan, Lowy is the chairman of Football Federation of Australia. Despite the raging criticism against restructuring of Westfield Group, Frank lifted his wealth to $7.16 billion. 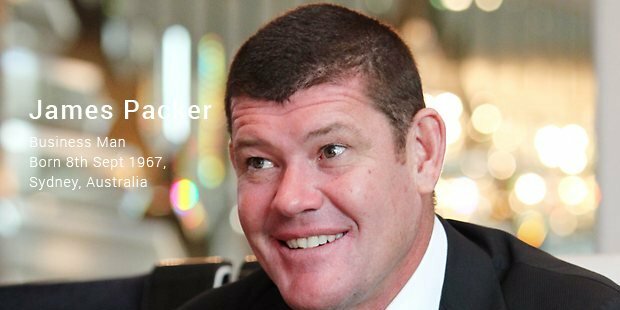 James Packer, a renowned personality in Australia’s elite circle and son of the late media magnate Kerry Packer, had successfully carried forward the Packer dynasty’s wealth by efficiently managing the inherited Media giant “Consolidated Press holdings Limited”. He also developed a new gambling empire and gathered enormous profits with this venture. This led him to be one of the wealthiest Australians. Swiss-based Glansenberg is loaded with mineral assets and believes in earning enormous wealth from ore mines. 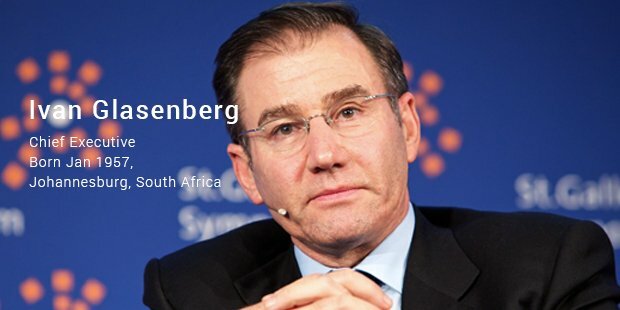 The man with an 8.3% stake in Glencore Xstrata has been able to life $1.01 billion of wealth with such a deal. He’s also a former South-African race champion, who represented Israel. The man who tapped into an idea that shopping is a leisure activity, has certainly wooed women across the globe. Gandel also adds that the key to his success was the shopping hours’ deregulation that bought a sigh of relief in the shopping mall arcade. Chadstone, his largest shopping mall in the southern hemisphere has earned him enormous wealth with more than 500 stores in Eastern Melbourne. Pratt cites a perfect example of being born with a golden spoon. 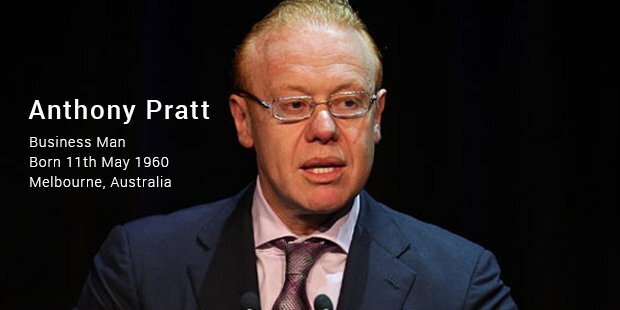 He’s the son of late Richard Pratt, a billionaire known for his packaging business “Visy”. Anthony moved to United States after inheriting a stake in his fathers business in 90’s and is now the biggest manufacturer of recycled corrugated cardboard in the United States. 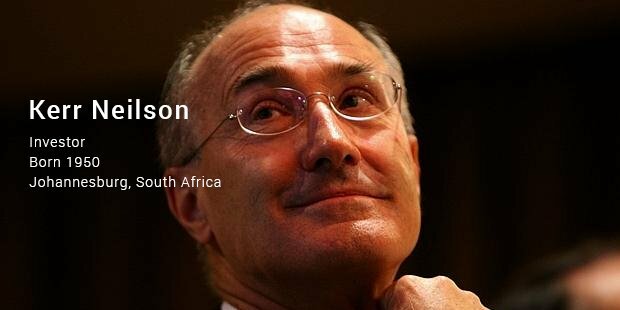 South African born Kerr Neilson established his reputation as an investment expert. 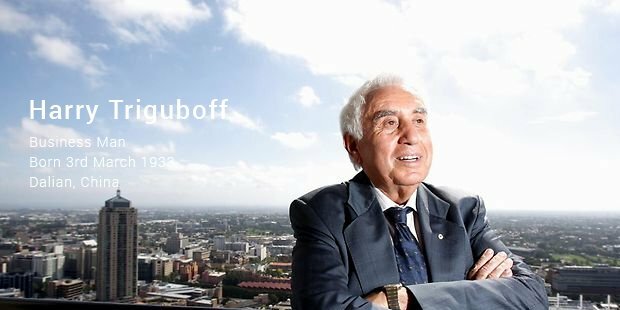 The mogul of asset management industry and founder of Platinum Asset Management has successfully detoured stock markets and the fluctuating Australian dollar, which earned him the ‘investment guru’ status. 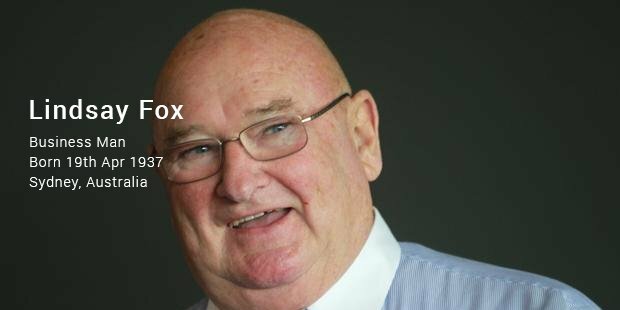 The owner of Linfox, a transport based company with a network of huge warehouses across the nation. Lindsay is certainly the logistics king. With extended operations in South East Asia and garnering new Fuel based contracts, has made him wealthier by 7$700 million. With vested interests in industrial properties, business and some leisure driven investments, Lindsay has garnered more than one can possible imagine. 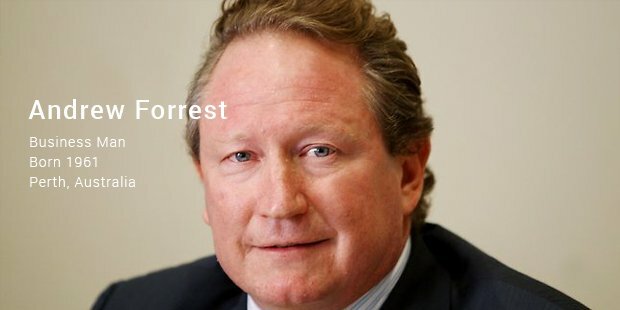 ‘Twiggy’ as he is known, Forrest is a keen amateur boxer and a one-time stockbroker who started his mining company, famously known as Minara Resources. 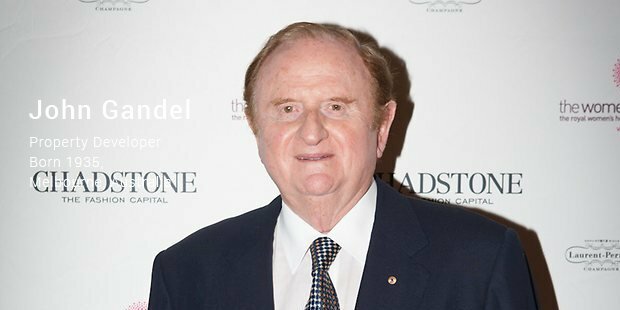 He also founded Fortescue Group in 2003, which bought him much fame and success by executing a simple idea of digging up and delivering iron-ore to China. We’ve got to bow down to Australian wit and determination. What sets the Aussies apart from the rest of the wealthy clan is that they believe in creating their own destiny and executing their idea to the maximum capacity. These top-notch wealthy individuals have set path-breaking trends by following their own passion.